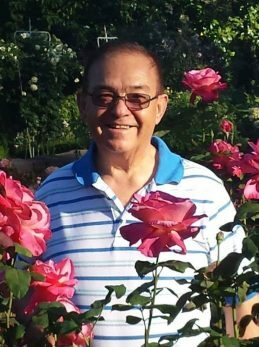 Vicente Pelayo, 67, of Frankfort, Ind., died April 2, 2019 in his home. Born October 27, 1951 in Pabelo, Villa Purificación, Jalisco, Mexico to Samuel Pelayo Uribe and Celia Uribe Pelayo. He earned his GED. Vicente had previously been married to Dorothy Irene (Sprague) Loza of Rochelle, IL. He worked for Del Monte, Silgan, and Caron Yarn in Rochelle, IL. He also worked for Skjodt-Barett Foods Inc in Lebanon, In. Vicente was in the Construction Union. No Services are planned. At the request of the family, cremation has been entrusted to Goodwin Funeral Home and Clinton County Crematory. He is survived by his Wife: Martha Patricia (Huesca) González of Frankfort; Sons: Jaime Pelayo of Rochelle, IL, Carlos Alarcon of Frankfort, and Charlie Sprague of DeKalb, IL; Daughters: Cristina Pelayo of Rochelle, IL, Sarah Pelayo of Desoto, MO, Emilia (Emanuel) Lopez of Rochelle, IL, and Whitney Sprague of DeKalb, IL; 16 Grandchildren and 1 Great Grandchild; Vicente was the oldest of 14 children. He was preceded in death by his parents, a son: Franco Alarcon and a sister: Maria Isabel (Chabela) Pelayo. Vince was a great neighbor. He’d help my husband, Phil, when we’d ask him. We lived next door at 601. Vince was a good man. Sad to hear of his passing. Vince was very good to me, from the first time we met! I want to to say how proud your father & I have been of you girls. You both took so much time the last three months of his life to help take care of him while he was in the hospital and then while he was at home before he passed. He loved you girls so much. You both have kind and loving hearts.